Hydration degumming is the use of phospholipids and other insoluble impurities hydrophilic gum, a predetermined amount of hot water or dilute alkali, salt, and phosphoric acid electrolyte aqueous solution are added under stirring in the hot crude oil, so that one of the water absorption gel aggregated insoluble impurities , then separated. 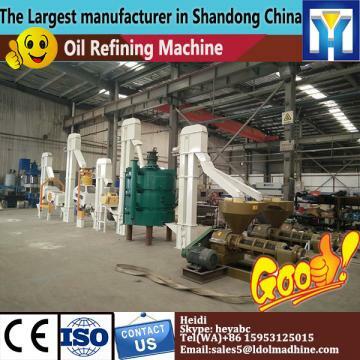 This process uses the warm water of hydration process type, a small oil refinery in warm water commonly used method. Further, by adding a certain amount of hydrated phosphoric acid, after the reaction, the oil in the nonhydratable phosphatide, converted to hydratable phosphatide. Such phospholipid content is greatly reduced, can achieve better results unglued.